It has been a while, but I'm finally back! 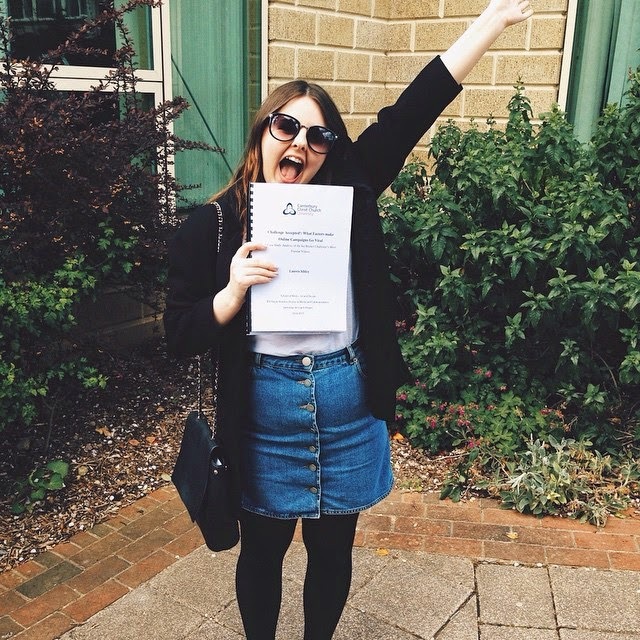 As you may know, I took April off blogging so I could put all my energy into my final assignments of University, and as of the 30th of April, I have been finished! It feels so good to finally have some time to relax. The terribly unattractive photo from above says it all really in a true Bender from The Breakfast Club-like fashion. University really has been the best years of my life to date. It has been so much fun and I wouldn't have changed any of it. Now it is time to decide what to do next!